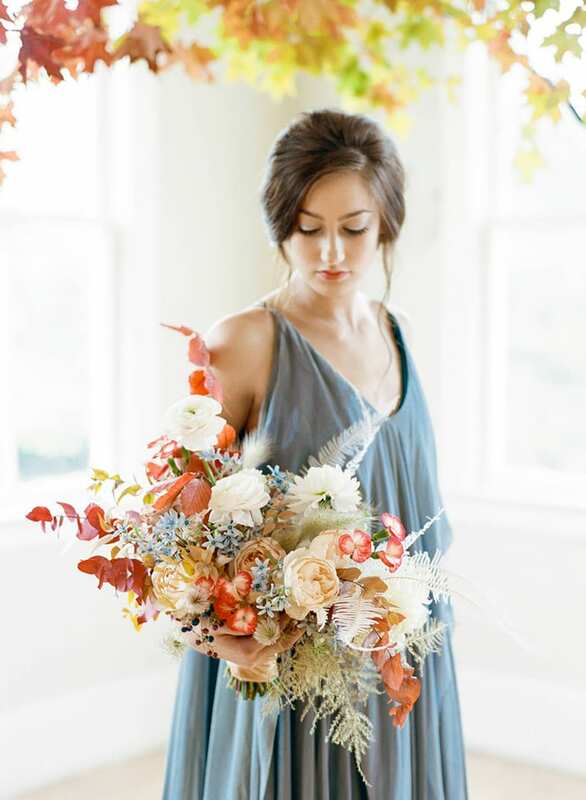 I’ve always loved reading interviews with florists from around the globe. And this weekend’s Floristry Industry Insight features interviews with two European based florists, in London and Sweden. Once you’ve read today’s post, you may like to check out the numerous interviews with florists featured here on Flowerona. Simply head to the Industry Profiles category for yet more inspiration and perfect reading for a Sunday. Enjoy! Monday morning saw me ‘up with the sparrows’ for a visit to New Covent Garden Flower Market. And it was so lovely to bump into florists Mary Jane from Mary Jane Vaughan, Mairead from Rebel Rebel and Nicole from The White Orchid. My Instagram post featuring carnations from Bloomfield, who are based at the market, caused quite a stir! It was a close-up of one of the new breed of carnations in a gorgeous deep purple colour. Love that the napkins matched the table flowers at the jewel coloured wedding, perfect attention to detail. I always enjoy reading trend predications. It will be so interesting to see if dried flowers will make a come back this year. I feel it will happen with materials such as eucalyptus and natives such as banksia.